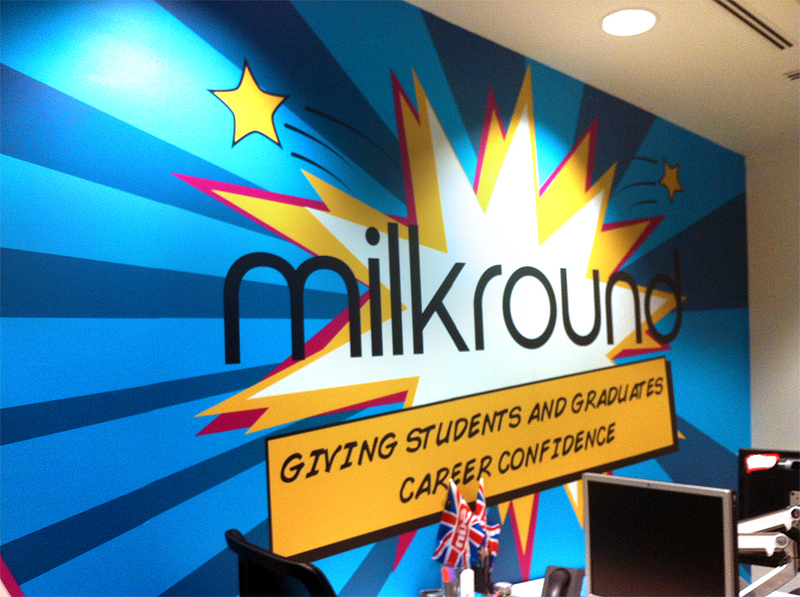 Milkround finds 100s of graduate jobs, schemes, courses, internships & placements, plus events &; career advice. 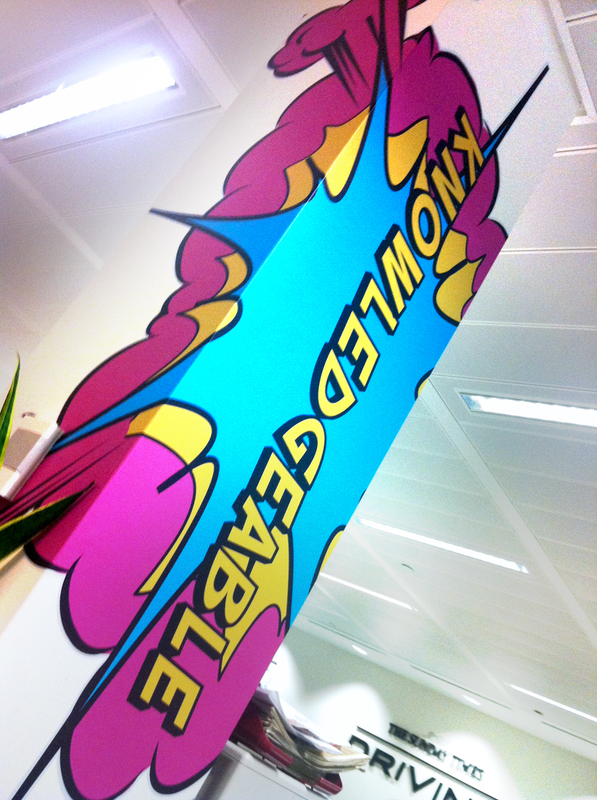 We were asked by News International to create some wall graphics that clearly showed the Milkround department. 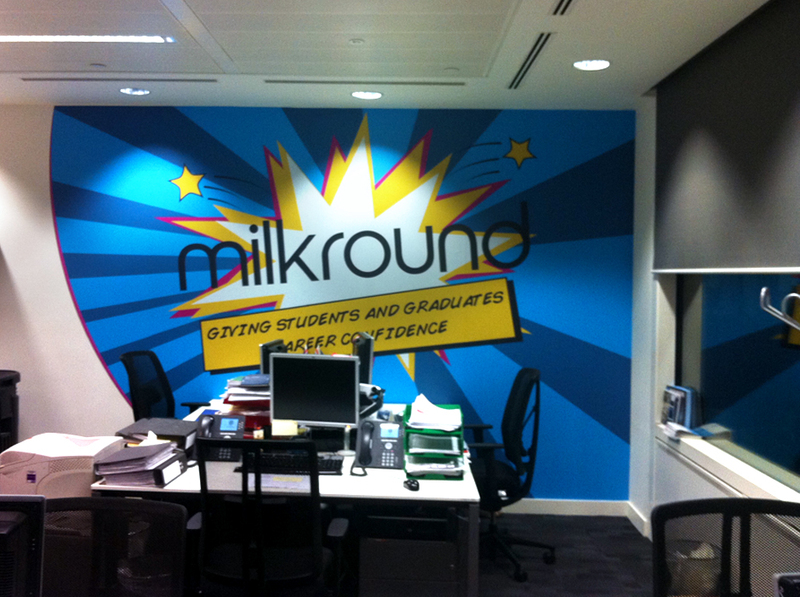 Milkround has a bright modern branding and they have some printed literature that has a very pop art flavour. So we decided to create a graphic that reflected the POW! WHACK! POP! Lichtenstein style. 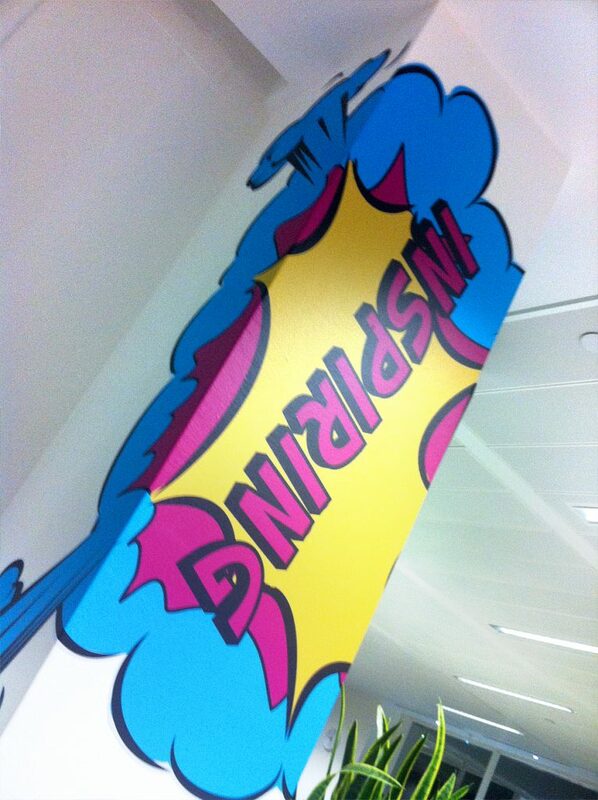 The graphics were then printed and cut to shape on printed vinyl and we organised the installation out of hours, so as not to disturb anyone working.